Eva Seeds' Veneno feminized marijuana seeds come from the cross between the super-productive Monster and the resinous Papa's Candy. The result is a resistant, productive and resinous marijuana plant with an intense and fruity aroma. It has a sweet strawberry flavour with a spicy and wood touch. Powerful relaxing effect. 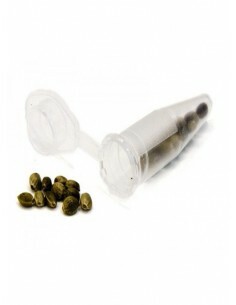 Eva Seeds' Monster feminized marijuana seeds come from the crossing of G13 Hash Plant and a South American hybrid. This marijuana plant is very easy to grow and resistant, providing very high yields of large buds. Stimulating and funny effect. Jamaican Dream by Eva Seeds is a plant that will be ready in just 55 days of flowering, something unusual in a sativa. It is strong and potent with high levels of THC.